With the skyscrapers of Tokyo pressing down on him, insurance salesman Tsuda (actor/director Shin'ya Tsukamoto) lives a life pinned in and sedated by the cubicles of modern apartment living, his job and the traditional conventions of his engagement to Hizuru (Kaori Fujii). Tsuda bumps into his childhood friend Kojima (Kohji Tsukamoto, real life brother of the director), who is an obsessive boxer and who quickly turns Tsuda's life upside down by attempting to seduce Hizuru. This sets in motion a destructive and exploratory sequence of events with a peculiar love triangle. All three leads push their bodies to extremes breaking out of the conventions of their lives with the oppressive nature of the city and shared history fuelling their escalating actions. Tokyo Fist has scenes that are hugely interesting but that don't necessarily always logically hang together in the narrative. Once it is accepted that the structure of the film is a maze of frenzied routes and dead ends, the film is an interesting consideration of madness and excess. The fight sequences are sweat and blood sprayed frenetic hyperbole with remarkable recoveries. 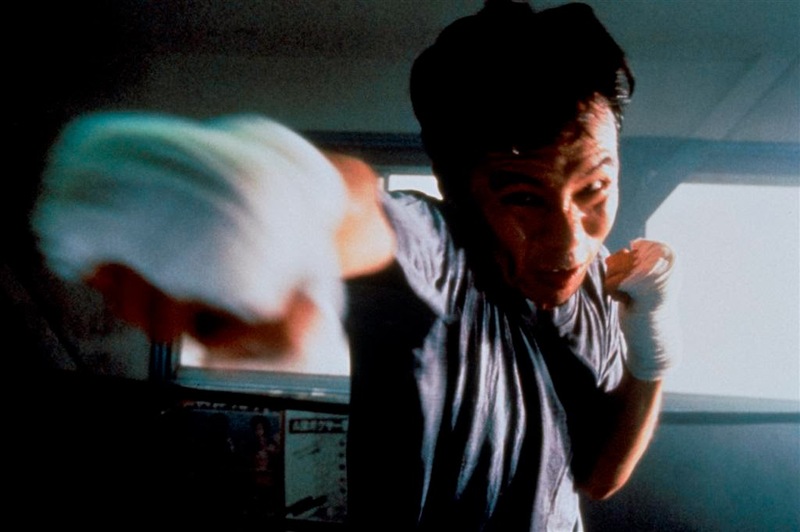 What it all means is debatable, but the film does exactly what it says on the pack: it is set in Tokyo and there are a whole lot of fists involved. Tokyo Fist. Japan 1995. Directed Shin'ya Tsukamoto. Starring Shin'ya Tsukamoko, Kohji Tsukamoto, Kaori Fujii... Out in in the UK on Blu-Ray and remastered DVD now, released by Third Windows Films.